Funeral services for Frances Hatch Gladney, 82, of Rayville, LA were held at ­10:00 AM, Saturday, September 8, 2018 at the Rayville United Methodist Church, Rayville, LA with Rev. John Albright and Rev. Bill McLain officiating. Interment followed in the Rayville Masonic Cemetery, Rayville, LA under the direction of Brown-Holley Funeral Home, Rayville. Mrs. Frances was born December 22, 1935 in Rayville, LA and passed away Monday, September 3, 2018 in Rayville, LA after a lengthy illness. 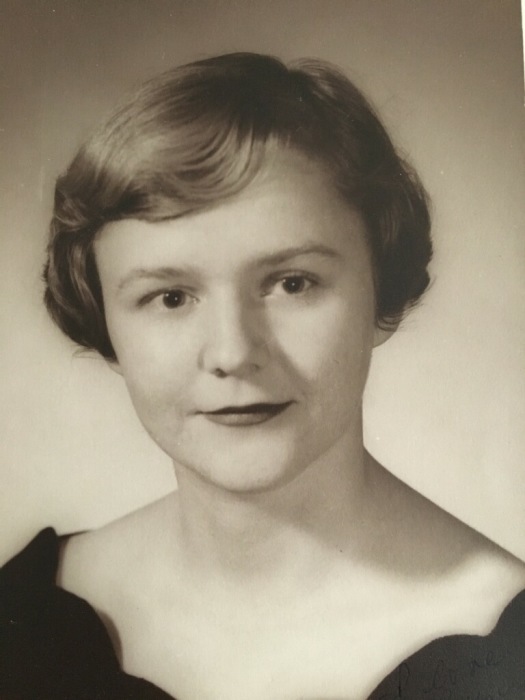 She is preceded in death by her husband of 62 years, George L. “Bunny” Gladney, Jr.; parents, Ruth Murphy and Frank B. Hatch, Jr.; sister-in-law and brother-in-law, Marcia and Fred Christian; brother-in-law, Billy Landrum; and son-in-law, Francis Genusa, Jr.
Pallbearers were Bill Jennings, Charlie Noble, Terry Copeland, Todd Landrum, Steve North, and Charles Germany. Honorary Pallbearers were Frank Greer, Emmett Brown, R. A. Eubanks, and David Landrum. In lieu of flowers donations can be made to the Rhymes Memorial Library or Rayville United Methodist Church, in memory of Mrs. Frances Gladney.